My name is Stephanie Tam, and I have been practicing karate for about 7 years. In the beginning, my goal of obtaining a black belt was very far-fetched. Becoming a black belt means so much more than just simple practice and attending classes. It requires skills, patience, and strength. In November, I received the opportunity to attend the black belt test to earn my black belt. At first, I was nervous that I wouldn’t be able to succeed. I was determined to do my best. After all my 8 years of training, I had finally accomplished my goal of earning my black belt. Looking back, it had been a long journey. When I was eight years old, my dad wanted me to try karate. He thought it would help me learn to defend myself in any difficult situations I might encounter, and also helped me make new friends. I was a very shy person at the time. I felt intimidated, and I disliked the idea of being loud and aggressive towards others. With time, each class I attended had helped me improve my physical skills as well as my confidence. It became a very fun and enjoyable experience for me to be able to perform different moves that I thought I would never be able to do. Not only had karate helped build my strength physically, but it had also helped me mentally as well. 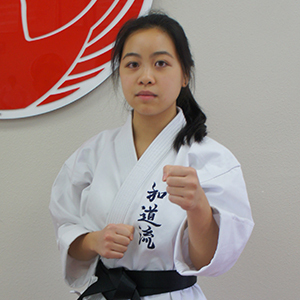 I was able to focus on the goal that I wanted to achieve: obtaining a black belt. It’s no doubt that I had encountered the ups and downs throughout my years of practices but as a result it had helped me strengthen my skills, build my confidence and gain more patience. 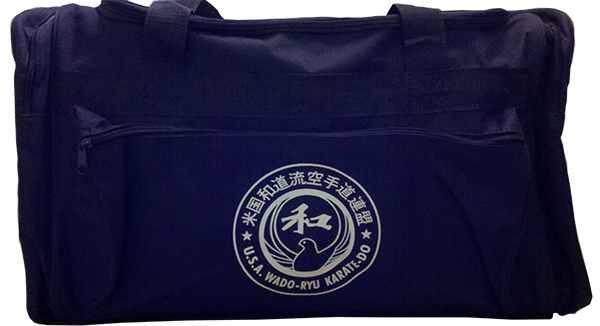 As time passed by, I realized that I enjoyed coming to the dojo more: to practice with a goal in mind. At the same time, I had also made new friends who had helped me open up. I’m thankful for the support I’ve been given over the years by Sensei, my family, and my friends. Their encouragements have given me the opportunity to do my best in order to accomplish my goal and becoming a black belt. Passing the black belt test has given me a sense of pride and I am looking forward towards my next journey.